The Blue Gold is a rare lode property in the Yogo Gulch region. The mine is noted for free gold production and some actual Yogo Sapphires. The dike on which the mine is cut is a vuggy, limestone-porphyry. These vugs are noted for the development of the famous Yogo Sapphires. The mine was last worked 1892-1894 and the Yogo Sapphire rush was overshadowed by the native gold recovery from the mine. The gold, in the form of rough and weathered grains and nuggets which formed in the dike. Surveyors examining the property reported at least three (3) adits on the property. Two (2) of the adits are collapsed and were reported as such in 1948, indicating the portals were likely closed by the miners working prior to 1900. The primary portal is reported as a 300’ horizontal cut which exposed the gold and sapphires in the porphyry. This portal was noted, but only accessible for roughly 45’. The drift will need significant work and clearing to be stabilized and accessible. For many years, Yogo sapphires have been sourced in a large dike which was known as the American Sapphire Mines, just south of this property. That dike runs directly parallel to this dike and its composition is identical. Many people have reported finding Yogo sapphires above the American Sapphire property. Mine owners discounted these statements stating that Yogo sapphires only came from this one dike and nowhere else. This is obviously incorrect and makes no logical sense. 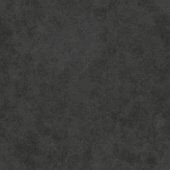 The only sense that it does make is as a statement from a company or individuals who do not want to diminish the value of their mines. 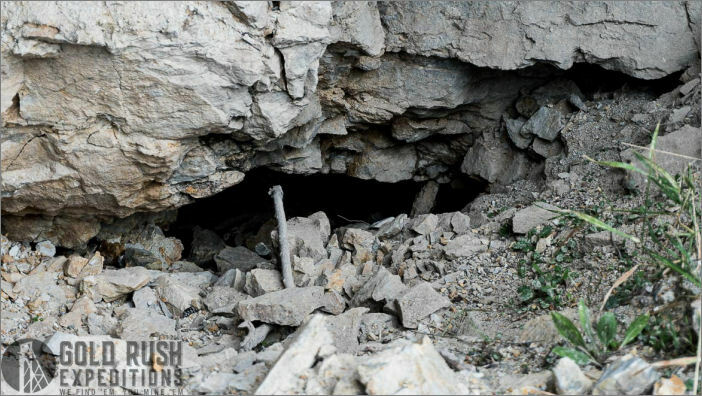 This is evidenced by the fact that no other deposits were located until 1984 when four local Montana residents staked a claim on an old lead mine north of the Sapphire Dike. They sunk a shaft 280’ and found a large deposit of deep blue Yogo sapphires. Proof that the sapphires exist in other areas around the region. The Blue Gold dumps show very vuggy and weathered rock. 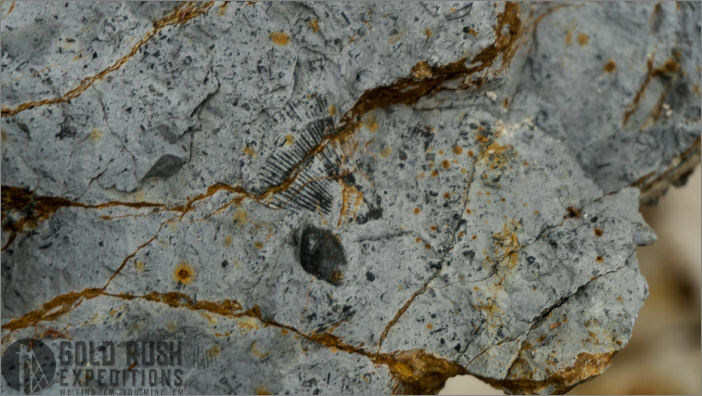 This rock contains extensive amounts of fossils and gems (sapphires). Some of which are verified Yogo blue sapphires. Claims in the area are difficult to acquire and rarely become available. They are high value due to the gold and gems that can be developed. Despite noted values, there is very little work that occurs in the region and the mines and properties are largely held for many years or decades with little to no development or production. The property is located in the Yogo Mining District in Judith Basin County, Montana. 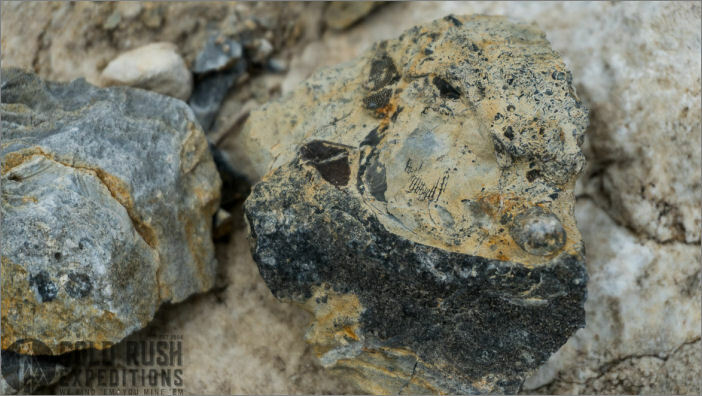 The site contains a single (1) lode claim positioned over the lode deposit which contains gold in the form of rough grains and nuggets as well as Yogo sapphires. The property a seasonal run off where placer operations have historically (prior to 1900) occurred. This stream slows to a trickle by September but does give the opportunity to collect water in the run off season. The claim has not been worked in any fashion since at least 1894. The site was verified by the USGS as being unworked with all portals inaccessible in 1948. It is believed that the English Mine Company pushed out the miners at this claim in 1894-1895 and discounted the property as no value to keep any further claims or discoveries. This blatant lie has been perpetuated up to this day as the old timers in the region still refer to the mine as “the old lead mine” despite the fact that the mine has never produced or reported the discovery of any lead or silver. It is also believed that it was in the best interest of the English Mine Company to hide the existence of any other sapphire deposits to drive interest in their own patented properties. The existence of any other Yogo sapphire mines in the region would have devalued their product and likely driven further exploration for gems in the region. This would have undoubtedly devalued both the gems and the location. The English Mine company was taken over by the American Sapphire Company in the early 20th Century. This is further substantiated by the fact that the Vortex Mine was located in 1984, on a previously abandoned mine. Four local residents staked an unexplored claim of the Yogo Gulch and dubbed it the Vortex Mine. They dug a shaft 280 feet down and began their operation completely underground. They found brilliant blue sapphires present in the ore and mined for quite some time. In 2008, the Vortex Mine was acquired by a man named Mike Roberts. 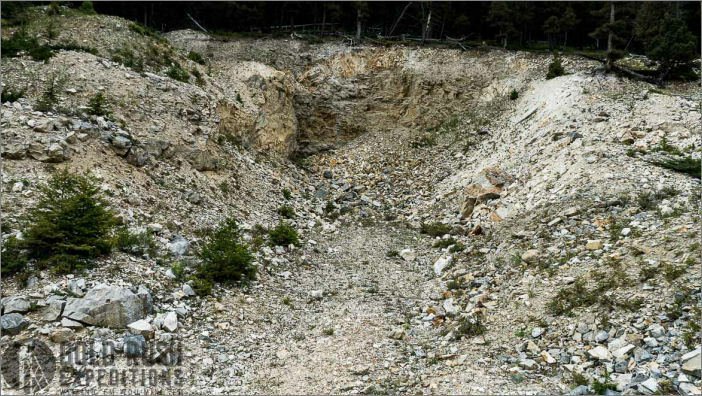 The Vortex mine was reportedly cut on a limestone-porphyry dike that was similar in composition. The Blue Gold is also on a limestone porphyry dike. It is the professional opinion of Gold Rush Expeditions surveyors that with little development of this property it will indeed yield Yogo Sapphires. As a final point of interest, the Vortex Mine, all claims unpatented, was sold in 2018 for $1.5 Million dollars.